Image source: User delusionalcubsfan on flickr. I subscribed to a magazine just once in my lifetime: it was in high school and I responded to a promotional offer for a 12-month subscription of SPORT magazine. According to Wikipedia, the magazine was shuttered in August 2000. I’m now onto my second-ever magazine subscription, which is somewhat ironic in this day and age. Why did I do it? Because an airline (which I don’t fly any more) sent me a notice in the mail, indicating that a significant number of my frequent flyer miles were about to expire. One way to consume those miles is to purchase magazine subscriptions. And I did just that, opting for 12 month relationships with Sports Illustrated and The Economist. In this era of tablets and smartphones, I’ve discovered a number of benefits of old fashioned print. Here are ten of them. 1) Raises questions from the kids. I have one child, so when I say “kids,” I mean my daughter and her grade school friends. Today’s generation engaged with technology moments after exiting the womb. And it amuses me how much technology shapes their world. When kids saw the DVD display in the ceiling of my car (a technological marvel when it was installed), they were amazed that a physical disc is needed to watch a film. One child asked, “Can’t you download the movie onto that?” So with magazines, it’s great when kids ask me what is “that thing” I’m reading? After all, it doesn’t reside on a tablet. 2) Opening and viewing a two-page spread is (still) magical. Yes, the iPad, with its retina display, provides visually stunning images. But there’s something about opening up a two-page spread in Sports Illustrated (SI) and “taking in” the image for a little while. 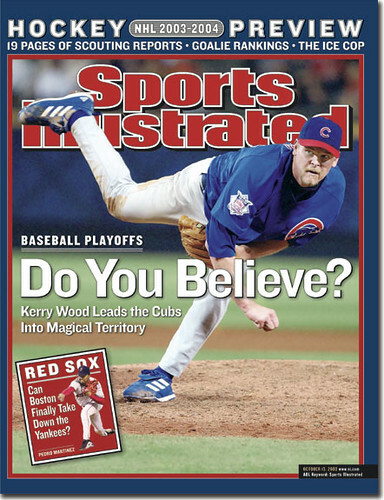 After the 2012 World Series, SI published a three-page spread, with the third page tucked underneath the first page. The top half was a panoramic shot of the Giants’ AT&T Park. The bottom half was Comerica Field. And it was awesome. 3) Gives you an excuse to go offline. It’s rare to be offline these days. We’re always an email, text or phone call away from work, family and friends. But with a magazine, I can head to a park bench, tuck my phone in my pocket and read an entire issue from front to back. Note: despite that statement, I’m rarely able to make it happen. 4) Creates an appointment-based experience. I’m a creature of habit, a lover of routines. So I love going to my mailbox every Thursday and grabbing the SI from among the circulars, junk mail and related offers. It’s like the days when I was a Netflix subscriber and I’d look first for that red envelope. I save portions of my Thursday evenings for reading the latest issue of SI. And that routine is supreme. 5) Allows you to fully immerse in something. Related to being offline, the magazine allows me to go somewhere quiet and fully immerse myself. SI keeps me up to date on the sports world, while The Economist keeps me current on the world. How often can you claim that you’re fully immersed in anything these days? 6) It’s so retro, it’s in. Publishers are shuttering magazines and newspapers and moving things online (if at all). In relative terms, there’s a dearth of print publications out there. So I when I walk through town toting my SI issue, I’m not afraid to show it. I’m retro and I know it. 7) Engage with advertisements. Yes, advertisements. Sure, magazines have been far less successful of late in selling ad pages. If magazines were pizza, we’d all learn to appreciate the thin crust variety. But what I’ve found is that the ads that do make it in are quite contextual to the adjacent pages. And that’s good for readers. Unlike online banner ads, I pay full attention to the ads in magazines. Banner ads can be contextual, but the amount of targeting and re-targeting done is reaching the point of creepiness. So I love knowing that my viewing of a print ad is not being track by Big Brother Online. At least not yet! 8) Page turning feels right. Yes, we’re all used to the swipe of an index finger to turn a page. But we do that so much that I’ve come to enjoy the physical page turning involved in magazines. And that also applies to books, for which I’ve been reading the old fashioned format (print). 9) Multiple ways to hold and fold. On a tablet, it’s portrait or landscape. With a magazine, there are more ways to hold the pages. Do I spread out both pages, or do I fold the two in half? Or, do I fold half of the right page over the back of the left page? The possibilities are endless. With a tablet, it’s all about the index finger, with occasional thumb action. With print, I’m able to keep more fingers in shape by involving them in the experience. This entry was posted on Monday, November 12th, 2012 at 6:05 AM and is filed under General. You can follow any responses to this entry through the RSS 2.0 feed. You can leave a response, or trackback from your own site. Thanks for the comment, Dave. And good point. I love reading blogs and finding rumors/speculations on social media, but there’s still something quite valuable in time-honored, fact-checked journalism. Another benefit to print: You can still keep reading on a plane even when the flight attendants insist we turn off everything that runs on a battery during take off and landing. There is no “off” button on a paperback book or magazine! Thanks for the comment, Brenda. Completely agree with you. I also find flights another good excuse to go completely offline (and read a good book). The only time I purchase in-flight WiFi is when I have a deadline to complete for work.